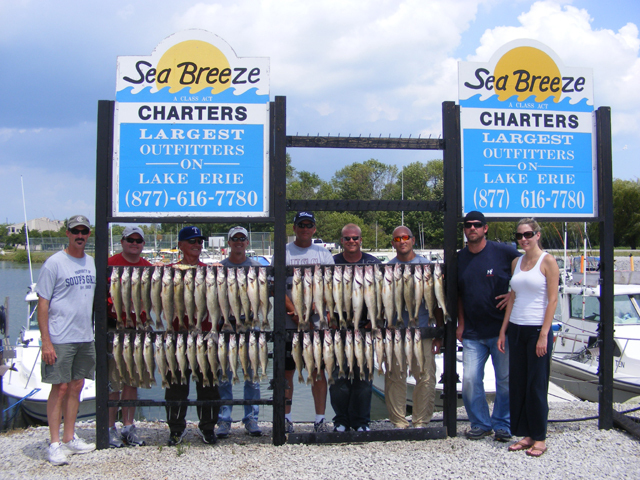 Port Clinton Ohio and Lake Erie are have long been know as the Walleye Capitol of the World. 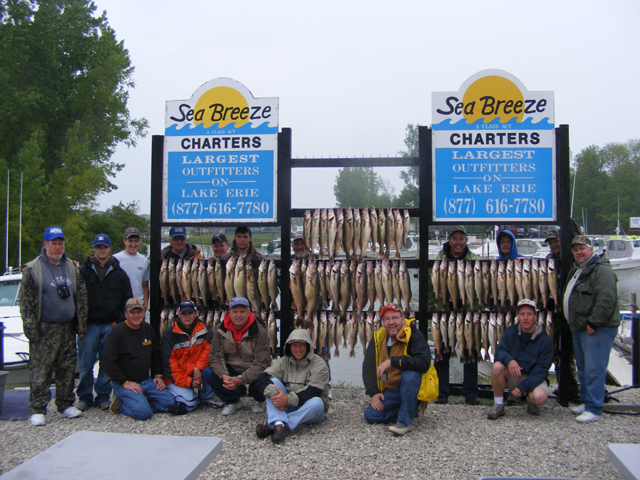 Millions of walleye are fished from the waters of Lake Erie every year. 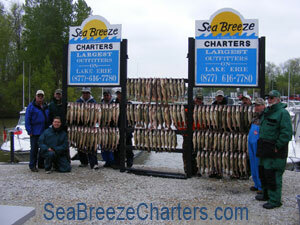 We start fishing on our 30 boats just after ice out ( mid March ). This is considered by many as Trophy Time. 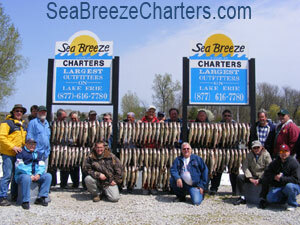 Jiggs ( walleye killer Jiggs ) tipped with Minnows and blade baits ( silver buddy, cicadas, vibies) are the hottest ticket. We drift our favorite reefs and spawning beds close to shore till early May. At this time we switch oover to spinners ( weapons, Erie dearies, bottom bouncers) topped with night crawlers. Spinners are the lure of choice when drifting till early November. If the wind dies out and the lake goes flat calm you may want to break out the trolling gear. 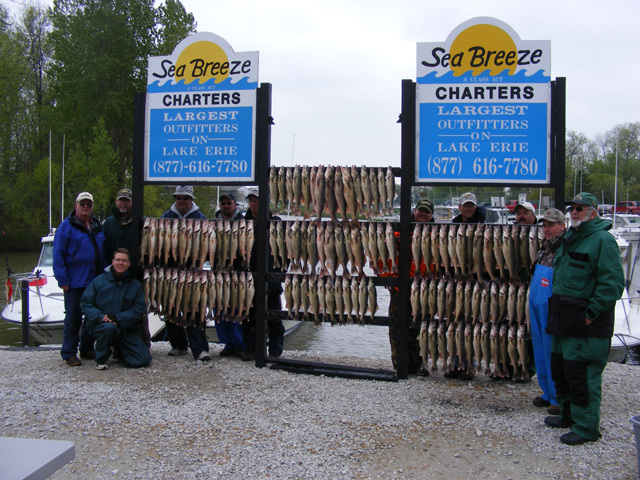 At this point we will put out the planner boards and jet divers rigged with spoons ( Michigan stingers and Yeck ) or crank baits ( Bandits,Husky Jerks, Smithwick P-10s and P-20s, Reefrunners ). 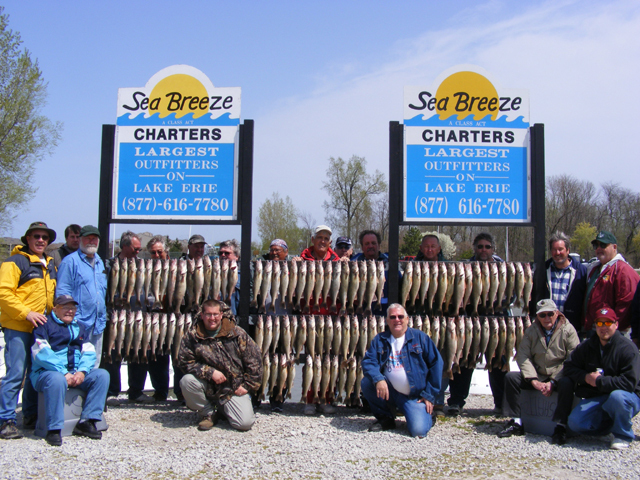 Lake Erie produces many big walleye. The ODNR enforcers a 15” minimum size limit and 6 per day per person May 1 through the end of February. During the spawn March and April ( Trophy Time ) the limit is four per person. Remember if you LIMIT early you can keep fishing to get your full day in. 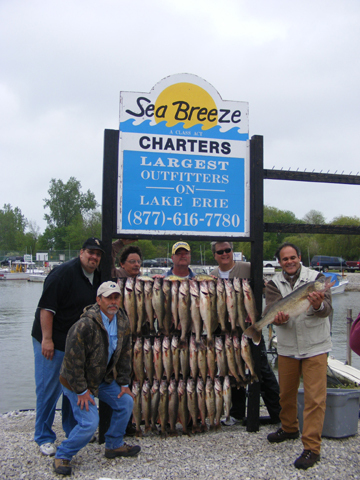 The average walleye caught in Lake Erie is in the 2 to 5 pound range. 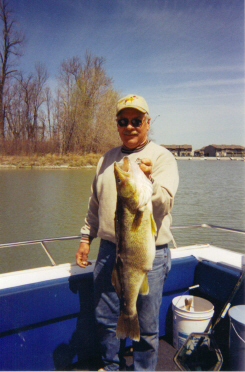 Walleye over ten pounds are not uncommon. 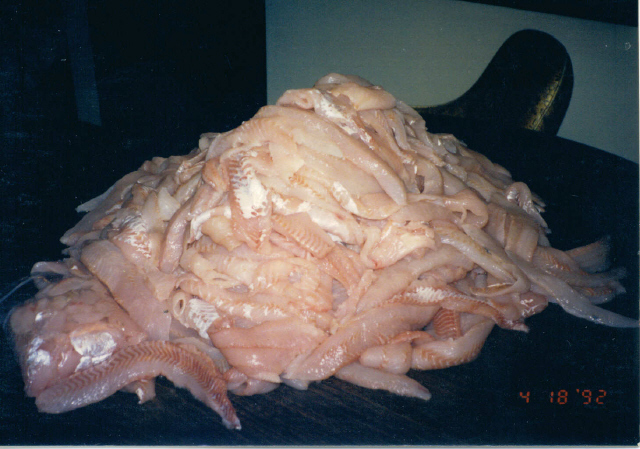 Most people agree that the smaller walleye are the best eating fish, second only to the yellow perch. Some walleye have been found to be over twelve years old! Walleye are light sensitive. They may not be near the surface on a sunny day. They will often be in the top ten feet on cloudy days. We have two populations of walleye: resident population that live around the reefs and islands in the western basin all year. The other a migrating population that roams East and West through out the year. Walleye are considered to be a schooling fish. 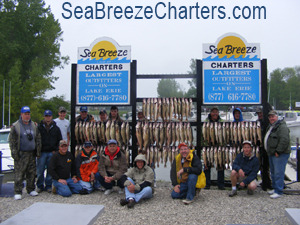 Fish a combo trip catching a combination of smallmouth, walleye, and yellow perch at no extra charge. 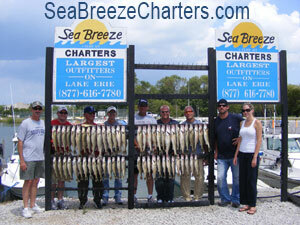 Check out our fishing chart to decide when to come fish with us. 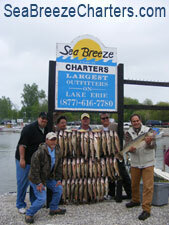 Ohio walleye limit is 6 per person per day. May 1st through the end of February. During the spawn March & April (TROPHY TIME) the limit is four per person per day. Remember if we LIMIT early you can keep on fishing till we get your FULL DAY in.